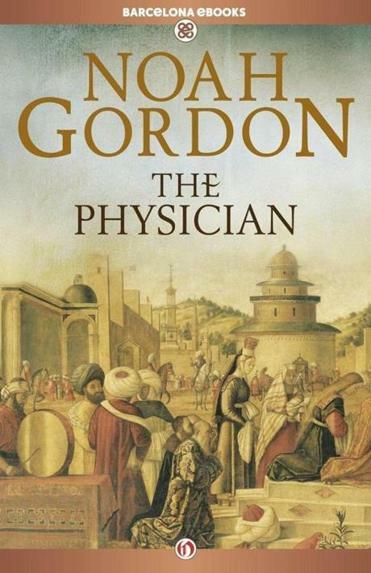 “This has been a magic book for me,” said Noah Gordon about his medieval medical-adventure saga, “The Physician,” which he wrote 30 years ago. Millions around the world have been drawn into a sprawling medieval medical-adventure saga created by a gentle, soft-spoken resident of NewBridge on the Charles in Dedham. And chances are, you’ve never heard of him. Yet when Noah Gordon visits Berlin or Barcelona, it’s not uncommon for someone to stop the octogenarian on the street and ask for his autograph. Gordon’s American profile, though, is on the rise, thanks to e-books and a film based on a novel he wrote three decades ago. “The Physician” — which chronicles an English barber-surgeon as he makes a perilous journey to Persia to study at the greatest medical school of its day — has sold nearly 10 million copies in 35 countries. A 2013 German film based on the book has drawn more than 5 million people to box offices stretching from Moscow to Madrid. The eponymous movie was just released on DVD in America and will be on Netflix streaming this summer. Filmed in English, it stars Ben Kingsley, Stellan Skarsgard, and Tom Payne. So why has “The Physician” and its author remained relatively unknown here? The answer, in part, involves the vagaries of the publishing world. Early on, Gordon, the son of a Worcester pawnbroker, knew he wanted to be a writer. 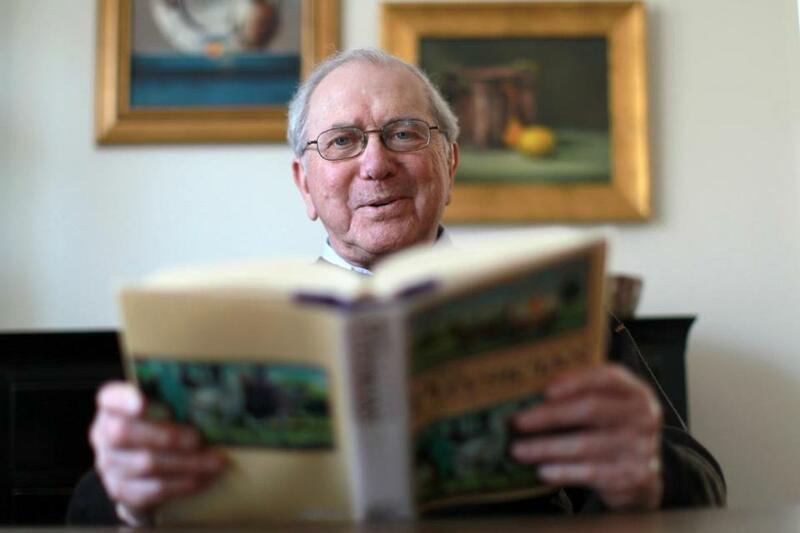 After reporting for the Worcester Telegram, he was hired by the Boston Herald in 1959. At night, he would return home to Framingham, where he and his wife, Lorraine, raised three children. After dinner, he would sit at the kitchen table and write freelance stories for magazines. The novelist’s breakthrough came with his 1965 debut, “The Rabbi,” which spent 26 weeks on The New York Times bestseller list. The book tackled the then-controversial theme of intermarriage, its title character falling in love with a minister’s daughter. The success of that work enabled Gordon to leave the Herald and write full time. Gordon’s main character, Robert J. Cole, is a young Englishman in the 11th century, so driven to master the arts of healing that he braves bandits, mountains, and deserts to study under a renowned Muslim physician. At that time, Christians were forbidden to study at Islamic schools, so Gordon has Cole take on the guise of a Jew and even marry one. Noah Gordon’s novel “The Physician” is now a movie, starring (from left) Ben Kingsley and Tom Payne. Just a few months before Simon & Schuster released the book, Gordon’s editor left and his agent retired. That left no one to champion the novel. “The most important thing with publishing books is having a sponsor; your editor is the supporter,” said Jane Friedman,who helmed HarperCollins for nearly a dozen years. Three years ago, Friedman cofounded Open Road Integrated Media,which is giving “The Physician” and six other Gordon novels a new life in the e-book world. Other Open Road authors include William Styron, Jack Higgins, and Erica Jong. After its US release, “The Physician” enjoyed only modest success, selling about 10,000 copies. But a blurb about it in the Simon & Schuster catalog caught the attention of a Munich publisher. After reading the novel, Karl H. Blessing invited Gordon and his wife to meet him in New York. There, Blessing put the couple up in a fancy hotel, hired a limo take them to a Broadway show, and treated them to dinner. He went home with the German rights. In an extraordinary marketing move, Blessing printed thousands of free copies of the book for just about every German bookstore employee. In its various hardcover and paperback editions, the novel has since sold 5 million copies. Meanwhile, “The Physician” became a hit in Spain thanks in part to a sprained ankle that sidelined the Spanish publisher’s sales manager. “He was bored out of his skull and picked up my book and loved it,” Gordon said. When the manager got back on his feet, he revved up the marketing campaign. From Germany and Spain, the book spread across Europe and into Asia. “The Physician” turned out to be the first novel in the Cole trilogy. Cole descendants figure in the “Shaman” (1992), which is set in the Midwest during the Civil War, and “Matters of Choice” (1996), about a female doctor who hangs her shingle in a town much like present-day Ashfield.